Some major weekly levels have been broken on Friday after the strong NFP numbers and it looks like the US dollar have the advantage for the up coming weeks, before December important meetings. Technicaly, this is what I see now. 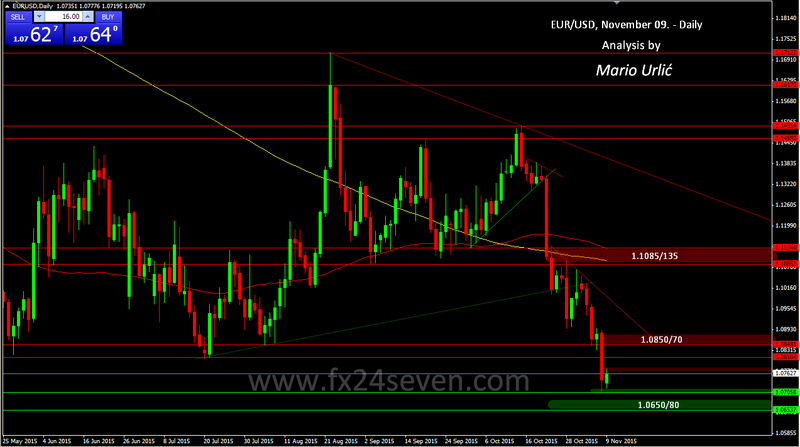 The fall stoped here at 1.0705, near the possible stronger euro support at 1.0650/80, the support level from April. That could be the next real test for the bears, before multiyear low at 1.0460/500. The euro looks bullish today and on the way to recovery, the first resistance is holding for now at 1.0770/75, next the stonger one is waiting at 1.0810, the important one at 1.0850/70. Tough three weeks for the euro lovers, let’s see how much and can they recover from this preaty huge decline! ?